September 15, 2016 marks the beginning of a new era for ocean resource conservation. Oceana, Google and SkyTruth have launched their collaboration to end Illegal, Unreported and Unregulated (IUU) fishing. Global Fishing Watch is a public platform that identifies fishing vessels and analyzes fishing activity to ensure environmental regulations are upheld. The importance and relevance of this today’s announcement at the Our Ocean Conference in Washington, D.C. was underlined by the special guests—none other than Secretary of State John Kerry and actor and ocean advocate Leonardo DiCaprio. One of the key technologies enabling this platform is the availability of vessel location information. Vessels above a specified size must transmit Automatic Identification System (AIS) positional data, which is then collected regionally by terrestrial receivers and globally by satellite receivers. Powered by ORBCOMM’s AIS data service, Global Fishing Watch can classify these time-stamped positional vessel data points as either “fishing” or “non-fishing” activities, and can offer a near real-time and historical global view of fishing activity. 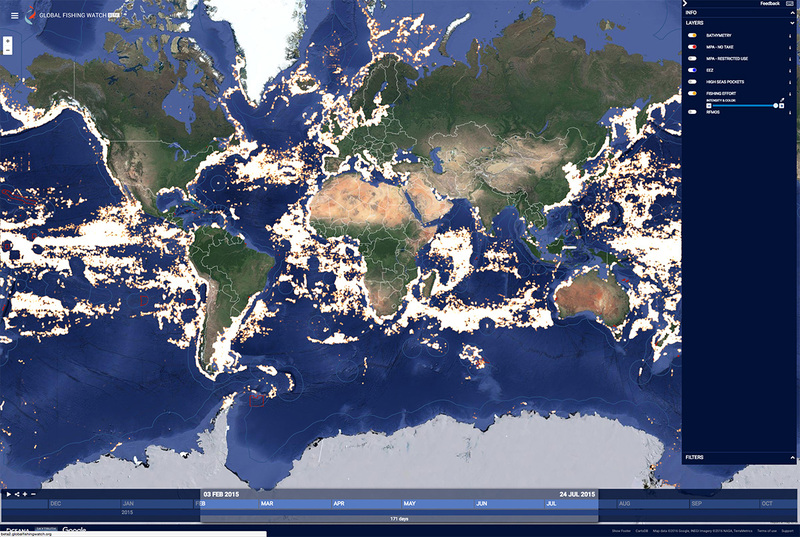 Anyone, anywhere in the world will now be able to use Global Fishing Watch to track the activities of 35,000+ commercial fishing vessels. This will increase the commercial fishing industry’s accountability by allowing fisheries to identify unauthorized activity and facilitating seafood supply chain transparency. It will also provide a tool to governments, NGOs and researchers for the enforcement of IUU regulations and Marine Protected Areas (MPAs). Global Fishing Watch will help preserve abundant fish stocks and protect our oceans, which are threatened by global overfishing, illegal fishing and habitat destruction. ORBCOMM is excited to play a part in delivering this new technology. To learn more about Global Fishing Watch and today’s announcement, visit www.globalfishingwatch.org.